Reading is fundamental to both learning and understanding in our print dominated world. We believe that every child in our school should have the opportunity and help to become as fully literate as they are able. By using a range of reading approaches, materials and activities, children should be able to become competent and enthusiastic readers. We value the teaching of reading and feel that it is important to give time for regular opportunities for reading. 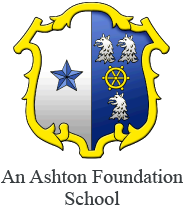 At Ashton St Peter’s Primary School we believe that children should be given opportunities throughout the school day which encourage progress in reading. Children follow the reading scheme which is divided into levels which are colour coded so the children can change their own books using lists in the front of their reading record books. When they have finished the scheme they continue with guided free choice to encourage independent reading, which is also initially colour coded. In school, we use a combination of reading schemes, including Usborne Phonic Readers, Floppy’s Phonics, Jelly & Bean Phonics and Read, Write Inc. Readers. These are supported by books from Oxford Reading Tree, Jets and First Flight. They take their reading books and Reading Record home daily. The Reading Record is signed by the parent or guardian and there is a space for comments and communication between home and the class teacher. We encourage a shared reading approach which involves children, teachers and parents working together in partnership. Parents are encouraged to hear their children read regularly and discuss the books with their children. The children learn the high frequency words for their year group and are tested on the reading and spelling of them each term. The children are also in guided reading groups following the Literacy Strategy in the classroom, where they read with the teacher who focuses on and assesses a particular objective. In KS1 the children also have a reading book which is changed regularly from a large selection of different books in the library, and is shared and enjoyed by the child and their parents.